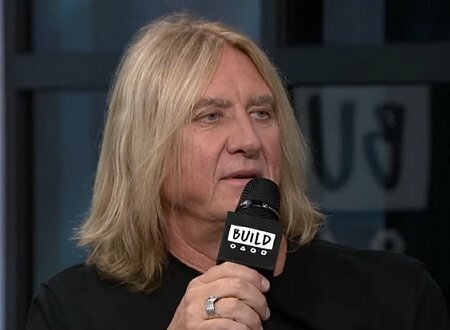 Def Leppard singer Joe Elliott was interviewed yesterday in New York and the full video is available. Joe spoke to the BUILD Series website about the upcoming 2018 tour and the digital deal. 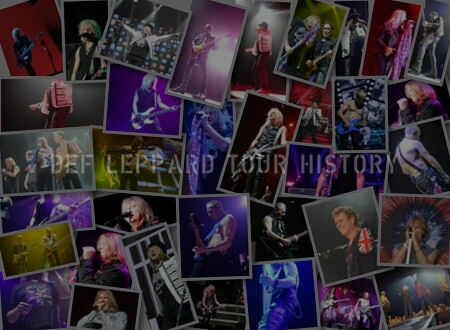 Joe talked about the 1983 LA Forum show, archive material, the 1980 Oxford live recording, adding their music to streaming/download sites, Hysteria's 30th anniversary, 2018 North American tour, being on tour, time off, Down 'n' Outz, new Def Leppard music, the 2015 album and some fan questions. Joe mentioned the official live recording mentioned in 'Animal Instinct' which was recorded in April 1980 in Oxford, England during their first major headline UK tour. This was first mentioned by Joe in December 2017 when speaking to Classic Rock Magazine. The show took place on 28th April 1980 at the New Theatre. And the setlist could have included the early version of 'Let It Go' titled 'When The Rain Falls' which had been played at other dates on this tour. It was played at the 13th April show in London along with the early version of 'Lady Strange' and 'Medicine Man' which was also an early version of 'Rock! 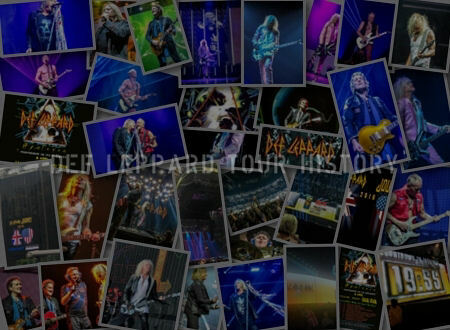 Rock!'. If included these would be released officially for the first time. He also explains the digital deal with Universal and seems to suggest there isn't any new music coming this year after all. Watch the full 20 minute interview video below. "I'm sure there's more than we've discovered but we did discover a few little bits and bobs. There's a lot of things that aren't up yet that will come out. We've found a live recording in Oxford at the New Theatre on the British tour. The On through The Night tour. Which we'd totally forgotten about. So we're having it all transferred from. the tapes's all flaky. So we're having it transferred to digital so we can get it mixed and see what it sounds like. I think it'll be good to put out kinds of a live recording that's got Pete Willis and Steve Clark on it because it's just an era that's not been really covered much other than on two records. So that'll be interesting for the fans I suppose." "But we did find that. The Lost Session from about ten years ago and we just couldn't remember where we did it, why we did it. But it was obviously around the YEAH! time. The YEAH! album because we did Rock On but there we things like. We re-recorded Love and Hate Collide. Which is actually better than the album version I think. Let It Go on there. Heartbreak. Foolin' maybe. So yeah have it, there you go. I listened to it and thought you know what this is fine. I can't believe we didn't put it out because we didn't think it was good enough. I think it just got shelved for whatever reason. I forget. History dictates that sometimes you do these things and then. There's no need to release them or they get in the way of things and then later on they become more valuable." "There was no point in putting it out before but now we're doing the whole catalogue it actually has it's value. You know you can't just put out a six track live in studio. It's a session really, it's not live. It's recorded live in the studio is what it was. Just put it out for no reason because it would just be a bit weird but it has a value putting it out today because it's part of the entire catalogue." "That's what it was. It was various different reasons. Most of them were nothing to do with technology. They were just down to practicality and the fact that there was no deal in place. You can't just meet up with someone on a Monday and put a deal in place hoping for it to be ready to go Monday evening. It took a long time to get both parties, which is Universal and Leppard to the table and meet in the middle where we were both happy with. Basically the compromise was whatever it was gonna be. They were gonna make offers and we were either gonna accept or not. We wanted to get everything under the one umbrella as well. So instead of it all coming out in dribs and drabs we wanted it to all be there." 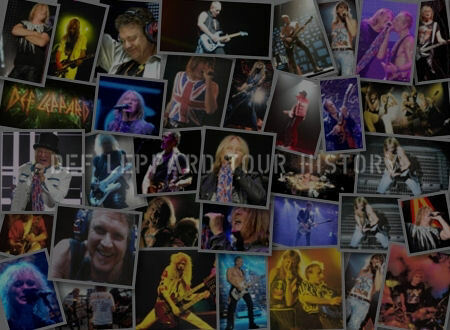 "From '79 The Def Leppard E.P. right up to the last album. We wanted everything together. And to do that just takes a long time. The negotiations take a long time. We didn't want to do them while we were out on the road because your heads not in it. You know you've gotta sit down and go through everything. So we waited until the tour was over and we really got into it. We finished towards the end of June, although negotiations were well under way by then we really went to town once we'd got home. Go through all the archive stuff. Then once we'd done that we had to go in and remaster everything. We had to get everything so it all matched for digital release." 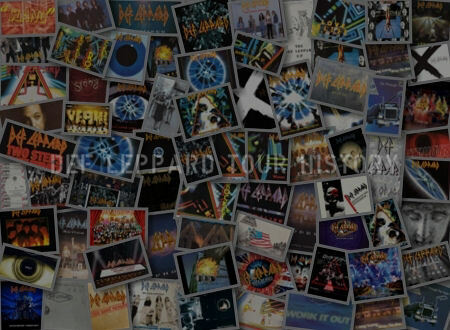 "It was sitting down with Ronan our sound guru as we like to call him and going through everything and make sure that all the levels were so it's technically all set up for digital because before everything was just set up for CD or vinyl. This gave us the opportunity to go through everything with a fine tooth comb from the EP all the way through On Through The Night right up to the last album. And again it doesn't happen over night." "Once we got everything in place it made a lot ore sense to hold off until this year and them make the big announcement today and then it becomes an event. Not just a oh their stuff's out. We wanted it to just be explosive. So to tie it in with the release of the catalogue and the tour and also for further afield, the British tour where we'll be actually playing the Hysteria album. In it's total like we did in Vegas in this December coming. It was a big splash to put all three bits of information out on one day." "We are actively writing as individuals. In fact I know Phil's got some stuff on the go. I've got some stuff on the go but we haven't presented it to each other yet because it's not in any kind of finished form. And there's no rush."